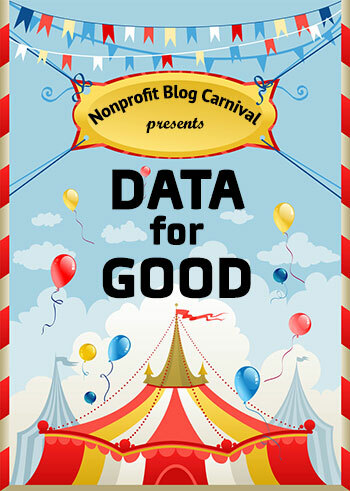 This month, we’re hosting the Nonprofit Blog Carnival and the topic is Data for Good. We hope that you’ll step right up and join in the carnival fun by sending us your submission. We want to hear about anything and everything involved with data and measurement. We're not talking "big data" here - we want to see how data or even the lack of data - has impacted your non-profit or membership organization. Are you using data to tell your organization’s story? Have you used data to create an infographic or illustrate your annual report? What are your biggest challenges in managing your donor or member database? If you want to share your thoughts or have recently published a post on data – we want to hear from you! If you’d like to share your thoughts on Data for Good, submit your post (even one you’ve published recently) – by emailing the URL to nonprofitcarnival@gmail.com – no later than Tuesday, June 25, 2013. Join in the carnival fun and make the June Nonprofit Blog Carnival round-up a success – send us your Data for Good submissions - here's the email: nonprofitcarnival@gmail.com.